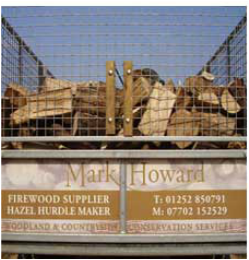 Supplying local wood to local people since 1995. Since the advent of efficient wood burning stoves the demand for quality seasoned firewood has never been greater, and is set to continue. 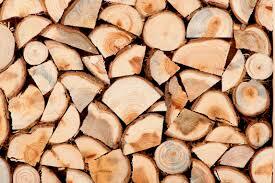 I supply all year round, seasoned, mixed hardwood loads that have been dried and stored undercover. All the timber is sourced as locally as possible from managed forestry or coppiced woodland. With fuel prices set to rise indefinitely, burning wood fuel in a modern wood burner can reduce your heating bills whilst helping to reduce co2 emissions, a truly renewable and sustainable resource. Once you have taken delivery of the logs they should be stacked. Use a purpose built log store or against a sheltered wall, keep them off the ground. If you have adequate storage try to be one delivery ahead. The secret of a good fire is a hot base, start with dry kindling, then add small pieces of split logs and finally one or two larger logs. Remember to start the fire with the faster burning species e.g. ash and birch and then add the slower burning species e.g. oak. I am biased ; you cannot beat an open fire, but for the most energy efficient way of supplementing the burning of fossil fuels, consider installing a wood burning stove.